Get the resources you need to help your exceptional child thrive! 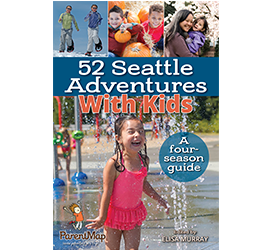 Join ParentMap in Kirkland for our Eastside Every Child Summit, supporting families with neurodiverse learners. This year's event features an exclusive lecture by Dr. Edward Hallowell on the brain science behind ADHD/ADD, as well as a FREE resource fair for families. New York Times-bestselling author and expert Dr. Edward Hallowell will explore the brain science behind ADHD/ADD and share his strength-based approach to identifying, developing and celebrating the talents embedded in ADHD, dyslexia and other syndromes. Get your questions answered during an interactive audience Q&A, followed by a book signing with Dr. Hallowell. A paid ticket is required to attend the lecture. Purchase now and save $5 off the door price! STARS Core Competency hours available! If interested, please register for the STARS option in addition to your lecture ticket. Find your village! Prior to the lecture, join us at our FREE Every Child Resource Fair. Meet face-to-face with dozens of organizations and local experts who focus on the many categories of atypical learners. Although the resource fair is free to all, we would appreciate your taking a moment to pre-register to help in our planning. 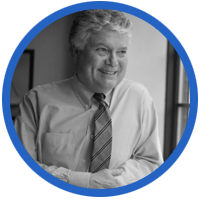 Dr. Edward Hallowell, M.D., Ed.D. A specialist in learning differences, Dr. Hallowell’s groundbreaking books, "Driven to Distraction" and "Delivered From Distraction" (both co-authored with Dr. John Ratey), brought Attention Deficit Disorder to the attention of the general public and have sold millions of copies. With decades of experience working with people who have ADHD, Dr. Hallowell has long argued that the disorder is too often misunderstood, mistreated and mislabeled as a “disability” and that the gifts of this condition are easily overlooked or undervalued. He is also a revered authority on lifelong personal betterment and fulfillment and has authored 18 books on various psychological topics, including the power of the human connection; the childhood roots of happiness; how to manage your “crazy busy” life; how to deal with worry; how to forgive; and how to run organizations so that every employee achieves at his or her peak performance. Thanks to our event sponsors and partners! Interested in being a sponsor or vendor for this event?